The start of a new year is a popular time to make resolutions: promises to yourself to achieve specific goals and objectives. Financially speaking, you might want to pay off debt, build up savings, prepare for retirement or better manage your daily spending in 2012. Those are good goals to have, and if you're a homeowner or intend to become one this year, your house might give you some great ways to bring your goals to fruition. With that in mind, here are six New Year's resolutions to put on your list. 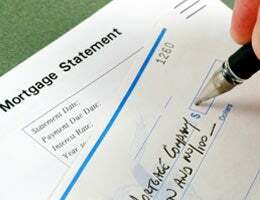 Making extra payments can dramatically shorten the time until your mortgage will be paid in full, says Ronit Rogoszinski, a wealth adviser at Arch Financial Group in Garden City, N.Y. Consider: The monthly principal and interest on a $150,000 mortgage with a 30-year term and an interest rate of 5.5 percent totals $852. 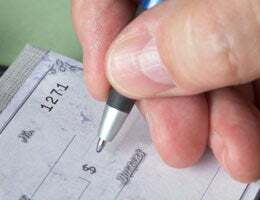 Paying an extra one-twelfth of that amount, or $71, each month would increase the payment to $923, but also shorten the term by five years and one month and cut the interest expense by $30,789. "The more payments you make in a shorter period of time, the less you end up paying in the long term, and the faster you'll get rid of your mortgage," Rogoszinski says. "If you can put aside a couple of dollars every week and then end up plugging it into your mortgage, that's awesome." It's not always easy to pay off a second mortgage, but the freedom from that added debt and interest expense can be well worth the effort. "People get used to certain cash flows, certain dollar amounts that come in and get spent," Rogoszinski says. "It takes a lot of discipline and will to write that extra $400 toward your home equity loan, instead of something else. The more you can focus on it and try to make that happen, the better off you are." That's especially true if your second loan has a variable rate, Rogoszinski says. Rates are low today, but if they rise in the future, you could face a painful payment hike and might not be in a position to refinance that debt. Refinancing your mortgage to decrease your payment or lock in a low fixed rate also might be a smart move in 2012. "If you have a variable mortgage, absolutely try to make it fixed," Rogoszinski says. "If that's the only thing you do in the new year, then right there, you've done yourself a favor." 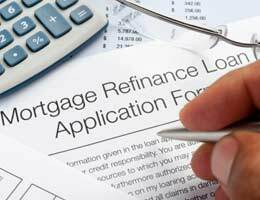 Refinancing an adjustable-rate loan can make sense even if you end up with a higher payment. That's because a fixed rate will protect you from interest rate risk. Consider: The monthly principal and interest add up to $898 on a $200,000 mortgage with a 30-year term with a variable rate starting at 3.5 percent. Refinancing that loan with a fixed rate of 5 percent raises the principal and interest payment to $1,073, an additional $175 a month. But if the variable rate jumped to, say, 7.5 percent, the payment would increase to $1,389, an additional $491 per month. Locking in the extra $175 in 2012 might be difficult, but paying that extra $491 further in the future could be much harder still. "Don't give up just because one bank says no to you," Rogoszinski says. "Keep looking for that one bank that will say yes." If your house has declined in value in recent years, you might be able to save some money in 2012 by contesting your property tax assessment. Ken Pozek, a Realtor with Keller Williams Realty in Novi, Mich., sends an annual letter to his clients to remind them to review their property tax and request a hearing date within the required time if the assessed value is excessive. He'll also help out, as many real estate agents will, with comparable sales data for an appeal. The savings, he says, can be substantial. "Our property values have dropped 40 percent," Pozek says, "so technically, their taxes should drop 40 percent. On average, I can save somebody about $1,500 a year." "Most property tax assessors' websites have useful information for homeowners about assessment dates and appeals. 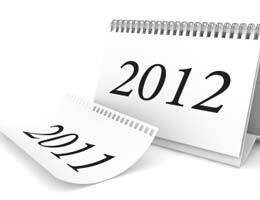 Looking back can be forward-thinking for 2012, at least when it comes to your homeowners insurance. That's because major repairs or improvements that you made to your home last year can get you a discount or a lower quote on this year's coverage. That's according to Jeanne Salvatore, senior vice president for public affairs at the Insurance Information Institute, a nonprofit industry-supported communications organization in New York City. "A sturdy roof will keep wind out, updated electrical can reduce the risk of fire, and if you've updated plumbing, you're less likely to have problems with leaks or pipes bursting," she says. "All of that can save you money on your insurance." 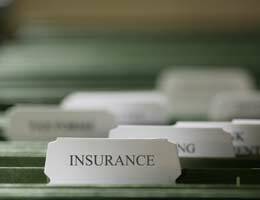 Call your agent or carrier and make sure your file is current with the latest information about your home. Paying your bills on time is an excellent way to strengthen your credit score, according to MyFICO.com, a consumer website operated by credit scoring company Fair Isaac Corp. in Minneapolis. A high score can let you borrow money at a lower interest rate and on more attractive terms. If you've already missed a few mortgage payments, make a resolution to get and stay current as soon as you can. "The longer you pay your bills on time after being late," the MyFICO website says, "the more your FICO score should increase. Older credit problems count for less, so poor credit performance won't haunt you forever." FICO is just one type of credit score, but it's widely used by lenders, and on-time payments are fundamental to other credit scores as well.